This article will guide the user through configuring a solution that will enable the user to create tasks in Microsoft Project using Google Assistant (or Google Home). Note that this solution does NOT require any custom code, Project Online or the purchase of a third-party add-on. Watch short overview video here. This solution does require Microsoft Project, Google Assistant, Trello, Wunderlist, an IFTTT Applet, Microsoft Flow and SharePoint. The following image shows how the products are integrated and how the solution flows at a high level. This is "Module 7 – Create a task in Microsoft Project using Google Assistant", which is part of a series on "Create Tasks in Microsoft Project using Google Assistant". 30. Simply say "Hey Google, add 'determine painter' to My Project"
31. Click on >Save within the Quick Access Toolbar in the upper left corner. 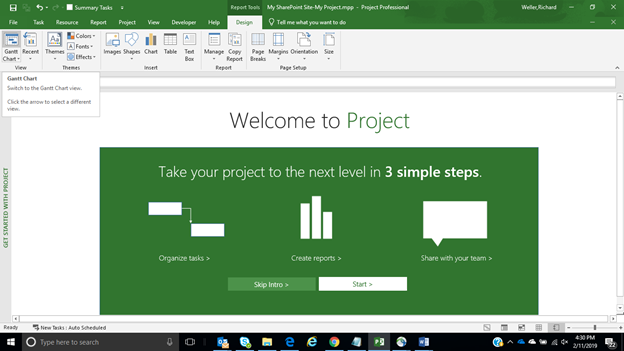 Microsoft Project downloads the latest information. This is "Module 6 – Create Workflow in Microsoft Flow", which is part of a series on "Create Tasks in Microsoft Project using Google Assistant". 27. 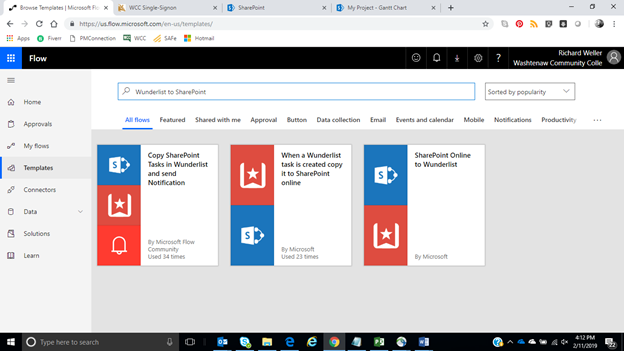 From within Flow, click on Templates and type in "Wunderlist to SharePoint". Click on the option that says "When a Wunderlist task is created copy it to SharePoint online". This is "Module 5 Create Applet in IFTTT", which is part of a series on "Create Tasks in Microsoft Project using Google Assistant". 17. The Choose trigger step will appear. For Step 2, click on "Say a phrase with a text ingredient"
18. Within the question for "What do you want to say", input 'add $ to my project'. Within the question for "What do you want the Assistant to say in response? ', input 'Ok, adding task'. 20. Click on the "+that"
23. For Position, select Top of List. For Title, click on Add Ingredient and select TextField. 25. As a last step, you can change the name of your Applet if you like. This is Module 4 Create Trello Account which is part of a series on Create Tasks in Microsoft Project using Google Assistant. 12. Create a board* that has at least one list. 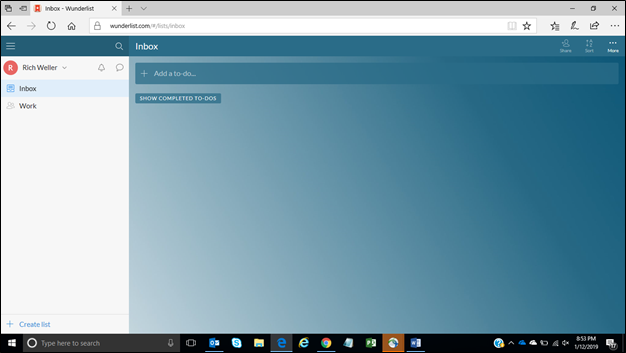 In the screenshot below, my board is called "MyTrello" and the list is "Inbox". *Note that my original board name contained a space which caused a problem later. I recommend creating this board name with no space. This is "Module 3 – Create Account in Wunderlist", which is part of a series on "Create Tasks in Microsoft Project using Google Assistant". This is "Module 2 – Open SharePoint Task List In Microsoft Project", which is part of a series on "Create Tasks in Microsoft Project using Google Assistant". 5. 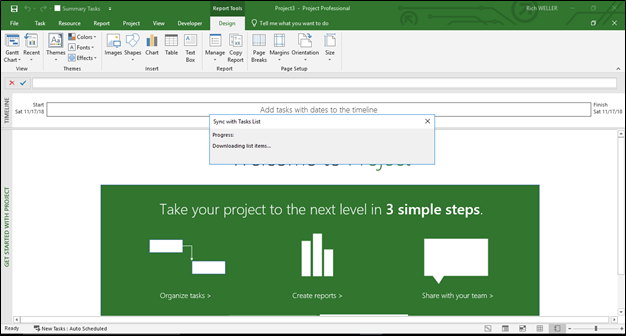 From the SharePoint Task list, click on the List tab across the top, then click on "Open with Project"
This is "Module 1 – Create a SharePoint Task List", which is part of a series on "Create Tasks in Microsoft Project using Google Assistant". This is "Module 5 – Create Workflow in Microsoft Flow", which is part of a series on "Create Tasks in Microsoft Planner using Google Home". 22. 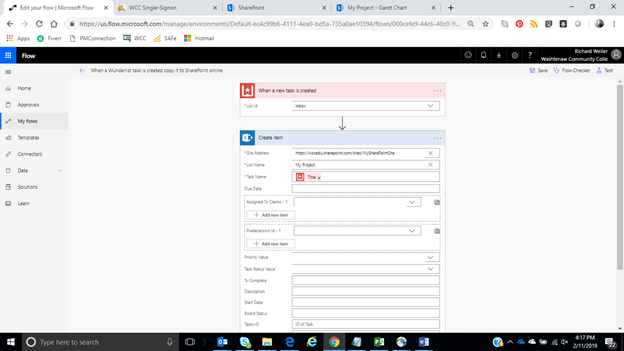 Click on the option that say "When a new task is create in Wunderlist cop to Planner"
This series of articles will guide the user through configuring a solution that will enable some basic integration between Microsoft Project and Microsoft Planner. Note that this solution requires zero custom coding! This article will show how it is possible to update Microsoft Project Tasks via a Smart Phone. 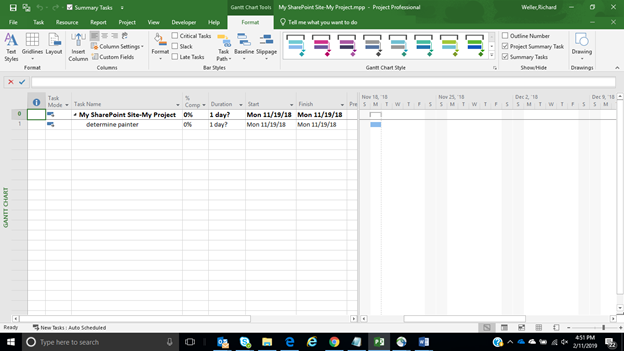 The key benefit is that Project Managers can create tasks within Microsoft Project that automatically save to Planner. 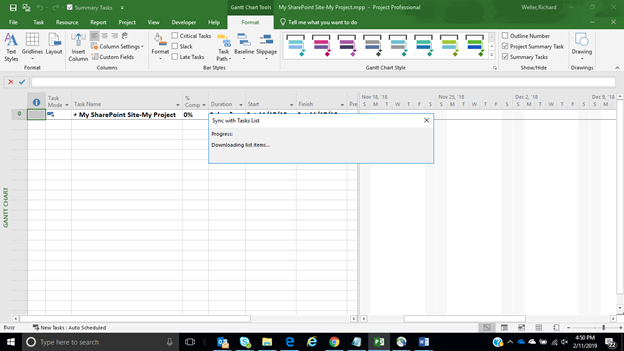 Team Members can update and complete tasks in Planner which then automatically updates Microsoft Project. This solution does require SharePoint, Project Professional, Planner and Flow. It does NOT require Project Online!